I'm pretty lazy with my hair. It's really thick & easily gets tuggy, has bleached panels on either side (that can get really dry), and I use heat on it pretty regularly. I also can't be bothered to wash it more than every few days & get REALLY BORED any time I have to dry my hair. No wonder my hairdresser gives me rows! 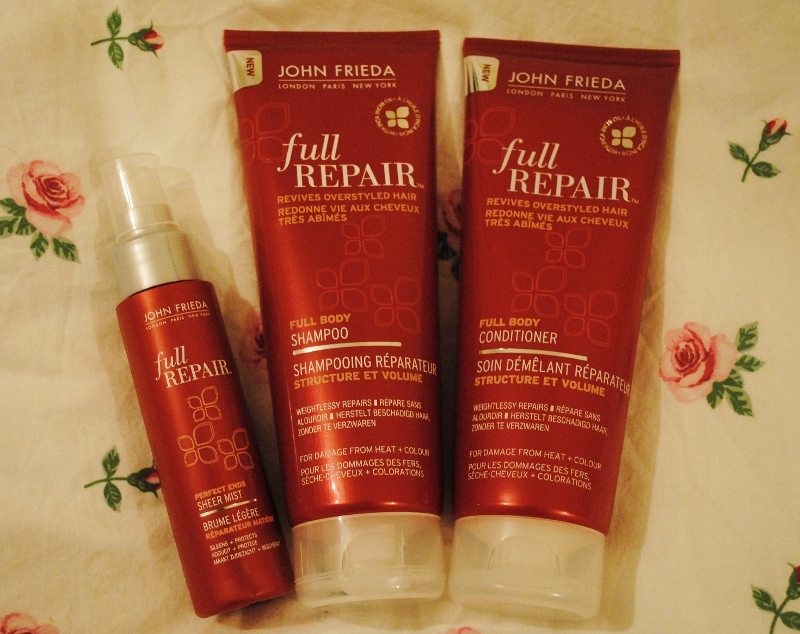 So, it was pretty good timing when I was offered some John Frieda products to try out. I've only ever used their Frizz Ease serums before, and didn't realise that they made so many things - everything from hair dye to hairspray. I was sent three products from the Full Repair range, which is designed to revive overworked hair (hello), repairing the damage of frequent hair styling & colouring. The products all smell really fresh, and even a day after washing my hair smelled really CLEAN, which is always good. Because I have thick hair I can handle heavier products, so it was actually really refreshing to use products that were very lightweight (and it feels like they've removed some of the build up in my hair). 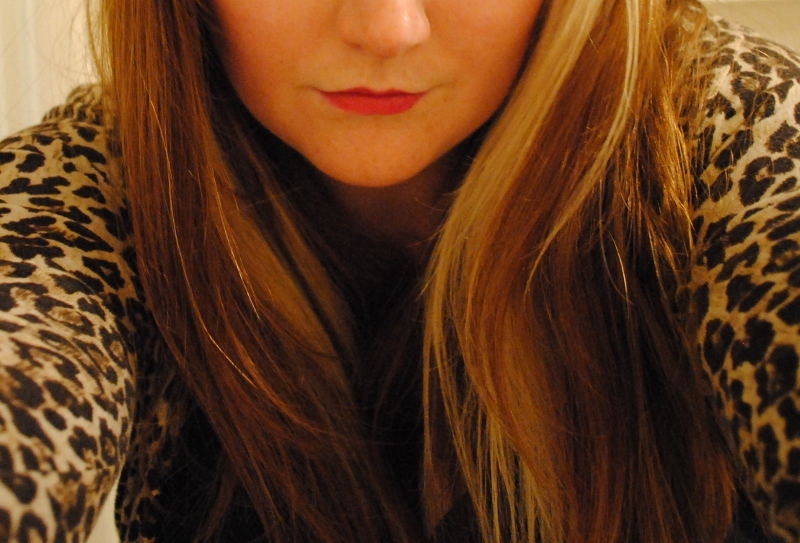 After washing my hair felt very well behaved (although I did have my usual few tugs when brushing it out!). I'm always cautious when using products designed to add shine for the first time, as I don't want to end up with greasy looking hair! To play it safe, I've been using the spray mist on the ends of my hair & the blonde panels - basically the bits that could use some repairing! Like the shampoo & conditioner, the mist feels super light, and my ends definitely felt less frizzy. All in all I'm really pleased with these products! My hair definitely felt super clean and soft after using them, and I feel like a much better long-hair-wearer using heat protection for once! Because my hair was so soft, it went quite wavy across the day as I didn't use any other products, so if I wanted super straight hair I'd need to use more products on top of this. Still, I think that is okay - wavy hair is fun!